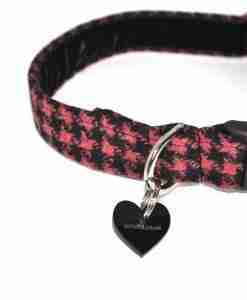 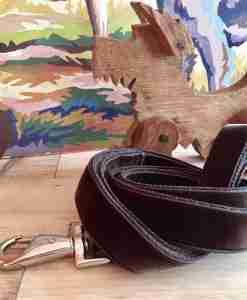 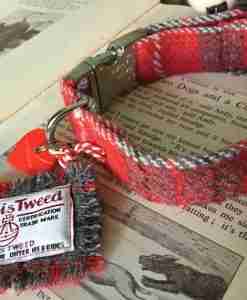 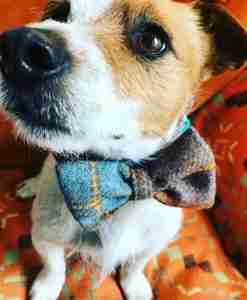 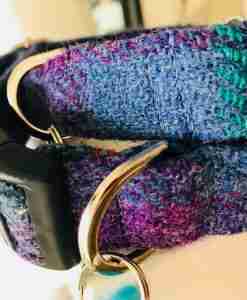 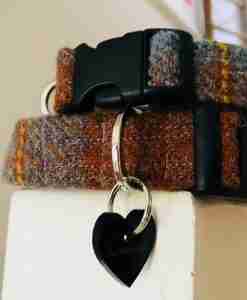 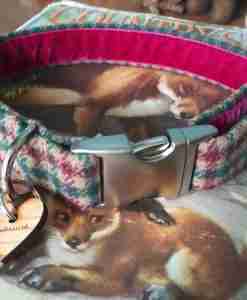 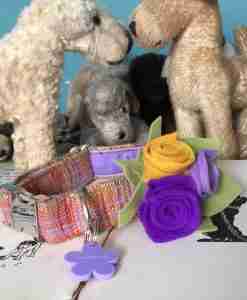 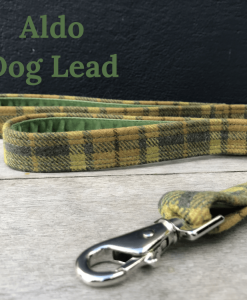 My new Aldo Green Tweed Dog Lead has been made using one of the nicest tweeds I’ve ever found. 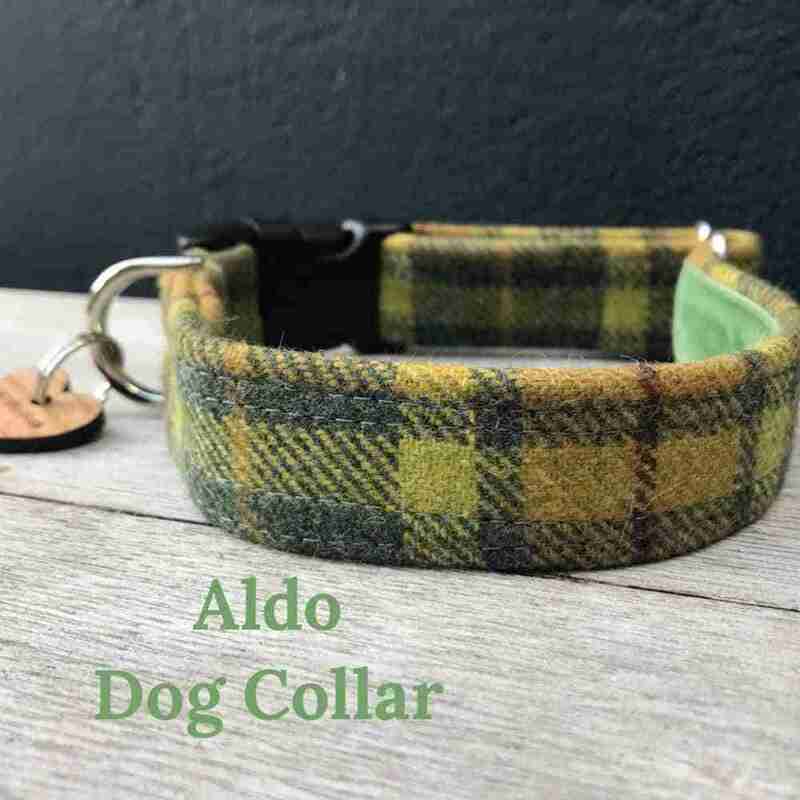 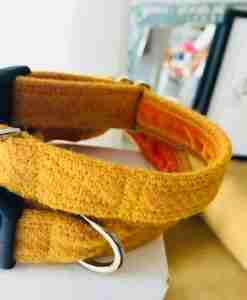 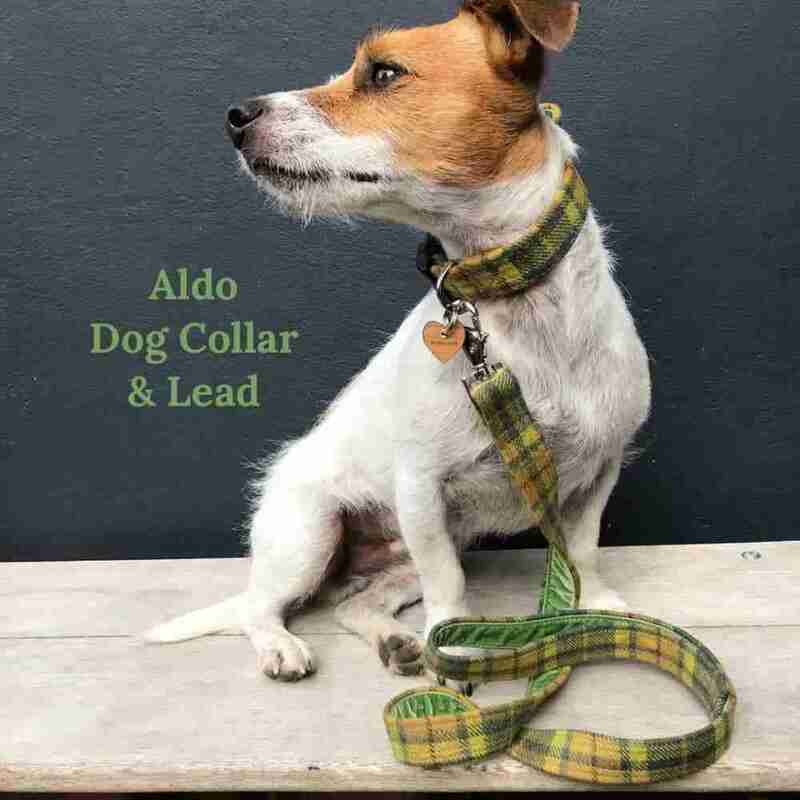 Aldo’s autumnal shades of dark green, lime, gold and chestnut make this dog collar perfect for a strut through the woods playing with the crunchy leaves. The Aldo Green Tweed Dog Lead is made using an Italian wool fabric which has a beautiful firm handle and I’ve lined the entire length with forest green velvet for a lux finish. 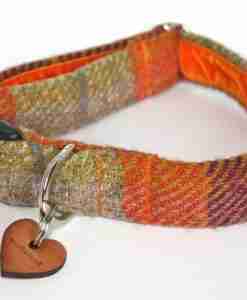 Pawfection …. 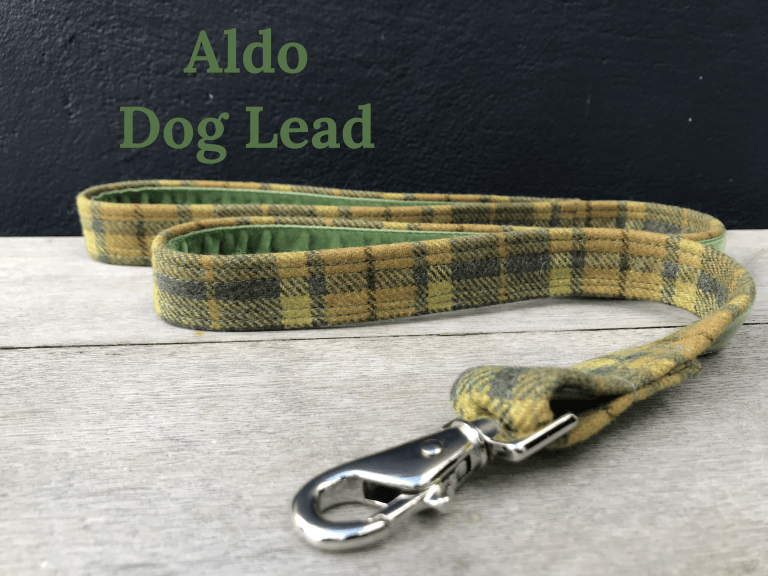 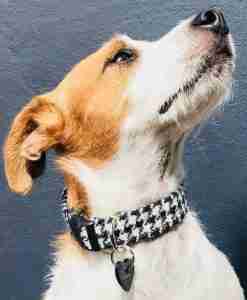 The Scrufts Aldo Dog Lead is only available in 1m length due to restrictions of the production of the fabric and is made using Irish wool and silk, Swiss velvet, polypropylene webbing and a strong easy use trigger clip.